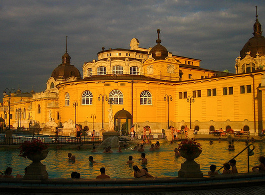 Home / Szechenyi Bath Sparty / Bath Party Tickets On Sale! 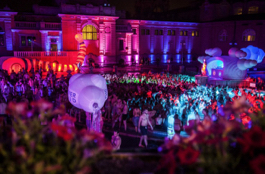 The long awaited party season is here with the Magic Bath party series and the awesome futuristic pool party in Lukacs Baths and Szechenyi Baths to celebrate 2018 all year round. 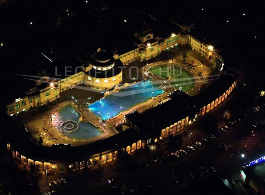 Note: winter party venue is often NOT Szechenyi Baths, but Lukacs Baths, a cozy and historical thermal bath on the Buda side of Budapest. January, 2018 – break in the Sparty-series. Why not try a Boat Party Cruise? Buy your tickets online now (the parties have special party tickets, please do not buy the standard day time bath tickets for the parties!). 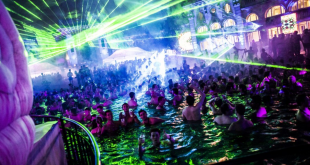 Bath Parties for any season, on most of the Saturdays in Budapest make a must of a weekend getaway to Hungary for a thorough party weekend. 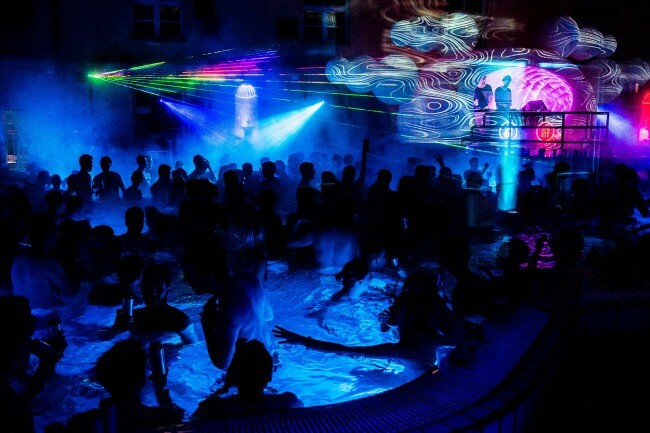 Be in Szechenyi Baths or Lukacs Baths on a Saturday (check the available dates please before buying a flight ticket) to be part of the best parties in the city of Budapest, Hungary: the thermal spa parties “sparties” for short! February is the starting month this year, and the parties run all year round, culminating in two mega parties, one in August, when we are awaiting you with the uber cool Cinetrip Sparty Summer edition, and one in December, the pre New Year’s Eve Party of Budapest and Europe (!). 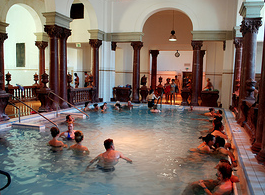 Of course, only in addition to the almost weekly Saturday bath parties. Tickets are on sale, most get picked up online, so take your chances and buy your ticket while you can. May the Party Forces be with You! I was wondering when the tickets for the party on 4th August will come on sale? Myself and a small group of friends are visiting Budapest in February 2019. We are in the city from the 8th to 11th. Do you have a party schedule for next year? If so is there a party planned for that weekend and when do the tickets become available to purchase? the 2019 party dates have not been confirmed yet, but most probably the season will start in mid February. When do you expect dates to start being confirmed? Just so I can make a note in my diary. Have dates for Feb 2019 been releases yet? yes, you can book for February. do you stil have tickets for party this 26 or 27 january? We are are group of up to 10. 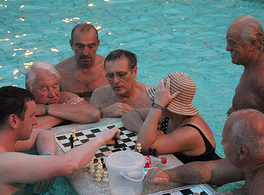 Unfortunately there are no spa parties in January. The year’s first party will be on 9 February.